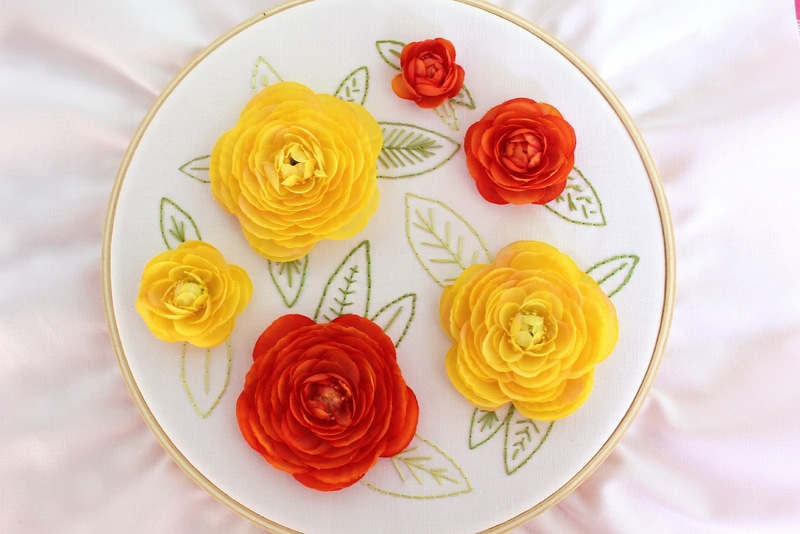 I call it hybrid embroidery - part fake flowers, part embroidery. I just love how it came out! Let's go over how to make your own. 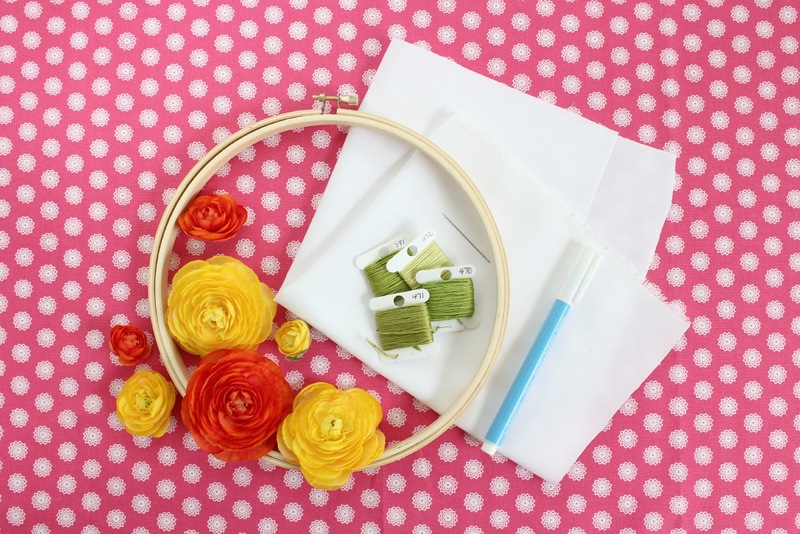 Lay your fabric flat and trace inside your embroidery hoop so you have a circle marked to help you place your flowers and leaves. Sorry it's so hard to see some of the blue pen marks in these pictures. If you click on the picture to enlarge it you might be able to see better. 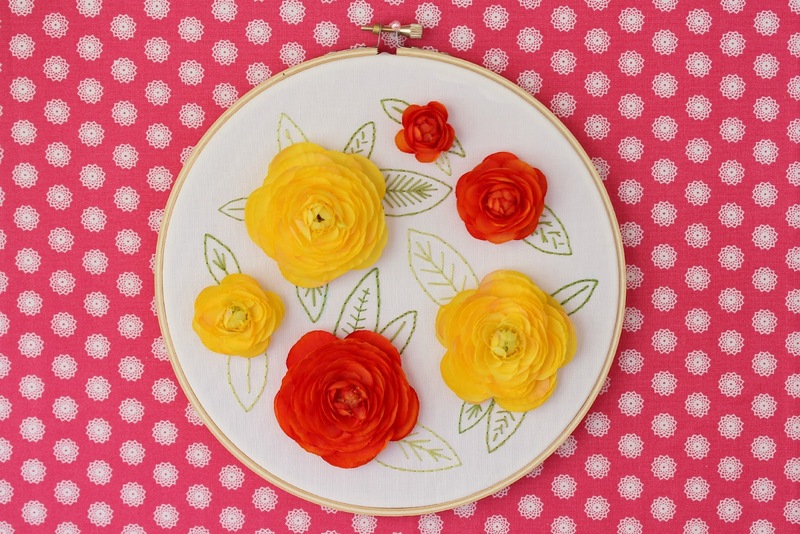 Using your circle as a guide, arrange your flowers how you like them. 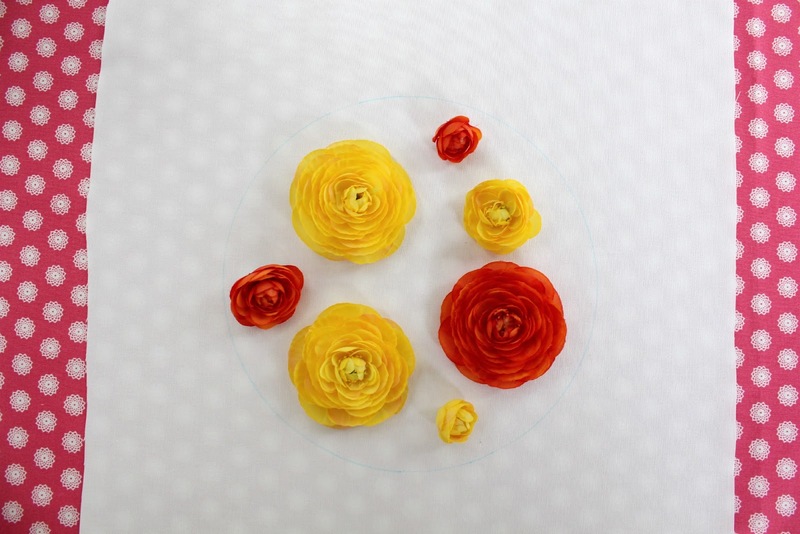 Without moving your flowers, you are going to carefully trace around the flowers to mark where you laid them out. 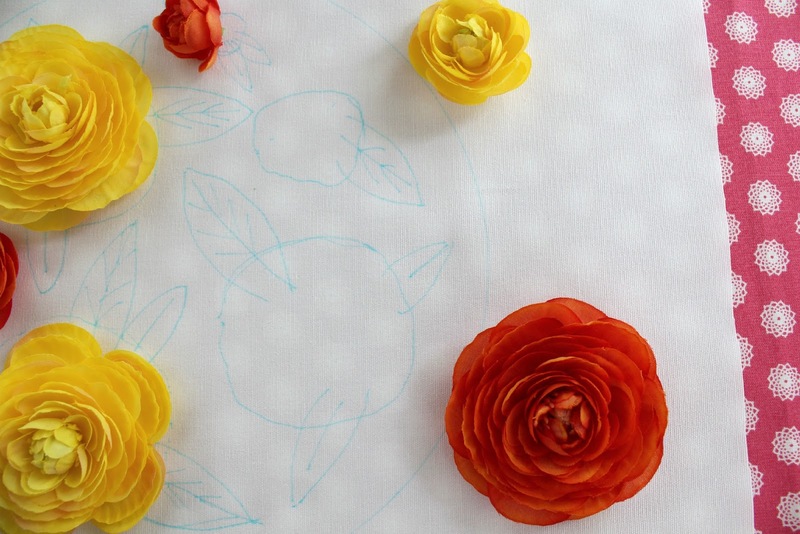 Once you have traced your flowers you can draw your leaves on wherever you like. After you stitch your leaves, carefully wet the fabric to remove the water soluble pen lines. I don't completely submerge my fabric underwater to do this - I just get a q-tip and some water and gently wipe the pen away. 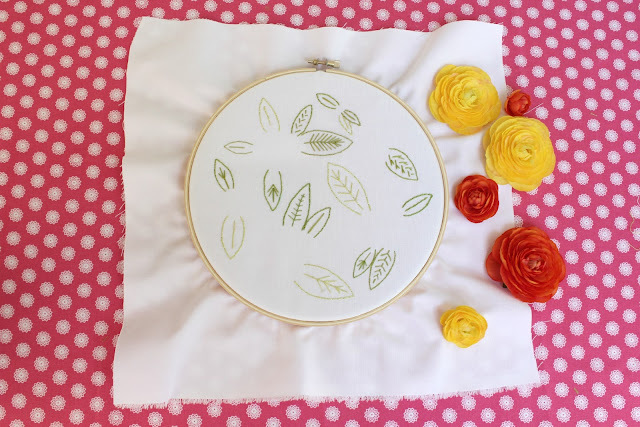 After the water dries, you may need to press your finished work. 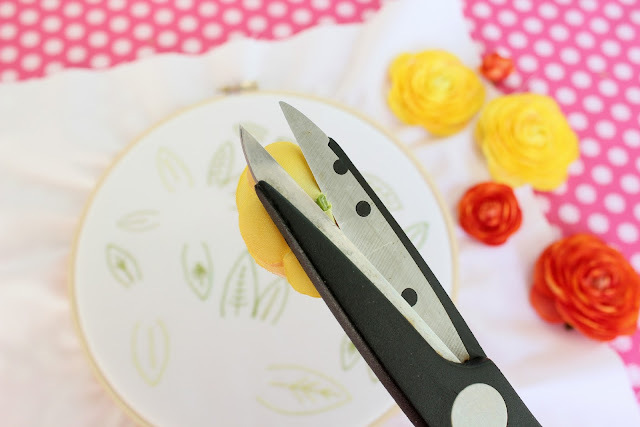 Before you glue your flowers down to your embroidery, you'll want to cut the stem on the back of the flower down as close as possible. This way it will lie flat on your finished work. 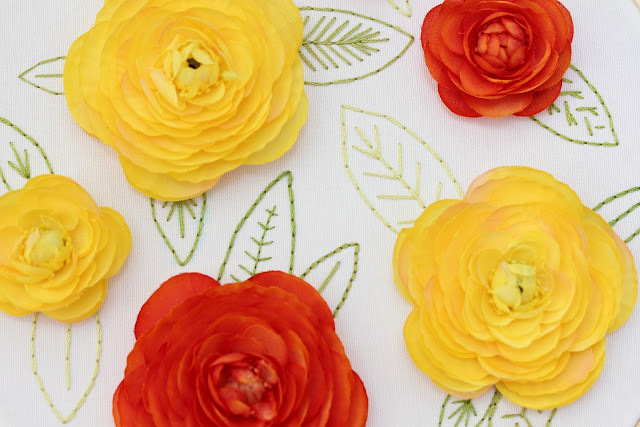 Use a generous amount of hot glue to adhere your flowers down. 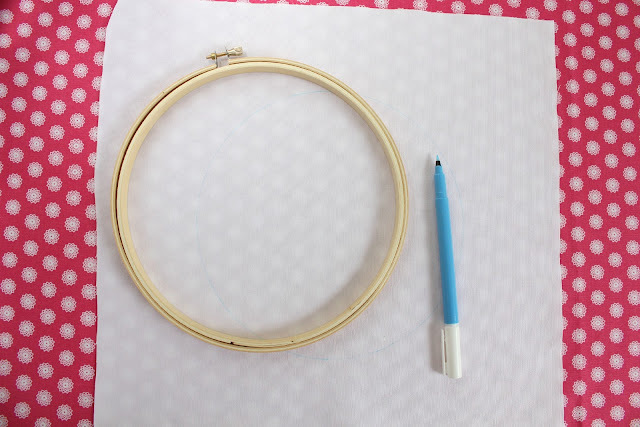 Once the glue has cooled, trim your fabric around of the edge of the hoop and hot glue to the inside of the hoop. 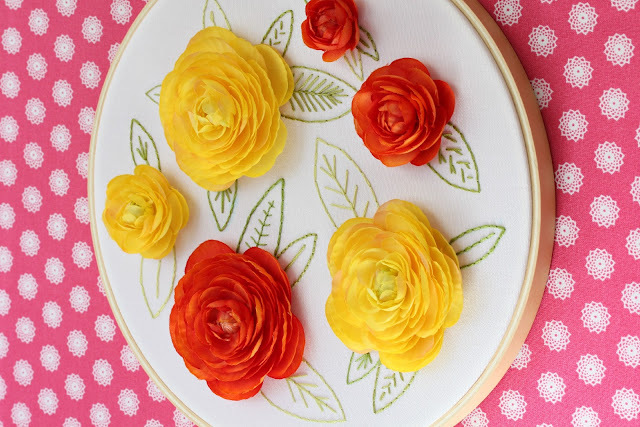 I love the three dimensional look that the flowers give. It's such a cheery, pretty thing to have hanging in our home. 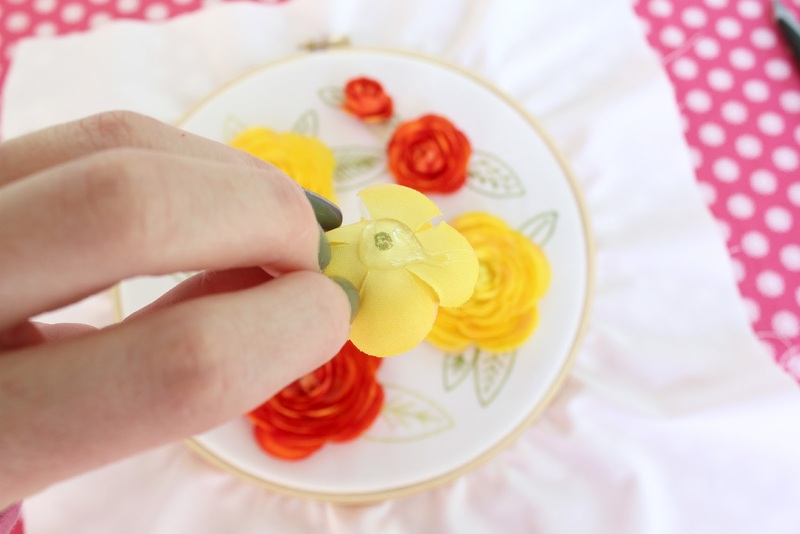 This is a great project to customize and make your own - pick you favorite flower and get stitching. I love the look of your hybrid embroidery wall decor, super cute. Thanks for sharing the tutorial. Beautiful! Might have to make one for my studio...thanks for the tutorial! Great tutorial! This is technique I have never used before and appreciate that you took the time to show us how to do it. I love this. 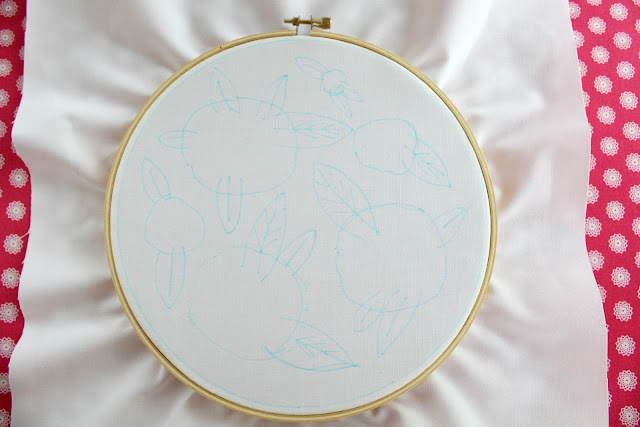 It is original and creative and of course, anything in an embroidery hoop I am all for! I am working on a cache of stitched hoops for my sewing room wall. I may have to give this a try! 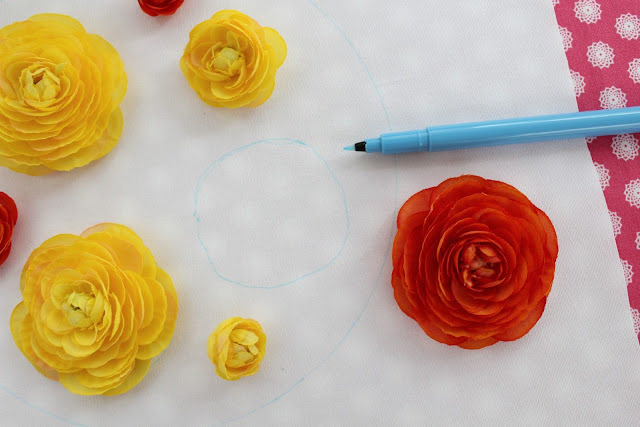 Simply awesome tutorial.. Just loved the way you guide the each steps, quite understandable. I too made it as you guided and it comes out very beautiful. I just discovered your adorable blog tonight and I really can't force myself to leave the computer. I've been perusing your amazingness for the past who-knows-how-many-hours! You've earned a new follower. Keep it up!